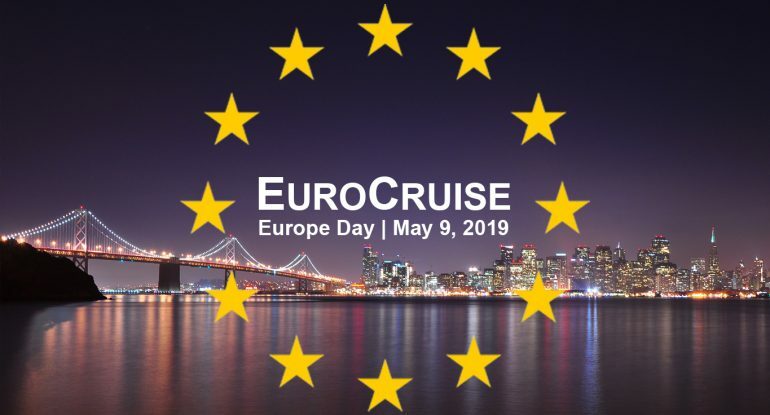 11 bilateral European-American business organizations in the Bay Area cordially invite their members & friends to celebrate Europe Day 2019 on May 9, 5:30-9:00pm. Mix and mingle with the European business community while enjoying beautiful sunset views of the Bay over a glass of champagne and delicious appetizers. DJ Champagne will provide the musical setting for this unforgettable European-American evening.